Greeting you warmly with a wish that's sincere for a healthy, happy and wonderful day. Have a heart-warming holiday! Warmest wishes for a very merry Christmas! The theme of the short is "Think Big, Think Small Business", through the business owners self-image show and the series of data convey to the world the value created by the small businesses. 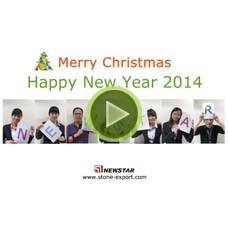 Newstar (China) Industrial Co.,Ltd. is a leading company in China, specialized in various building materials, kitchen and sanitary wares and energy-saving products. How to install cultural slate wall veneer stone? How to install marble tiles?